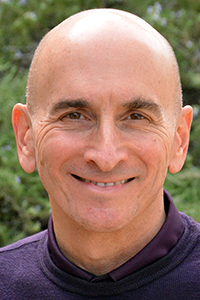 Harvard-educated Saniel Bonder has helped hundreds achieve unshakable spiritual awakeness amid the stresses of everyday living. His many books include Healing the Spirit/Matter Split, Waking Down, and the novels While Jesus Weeps and Ultimaya 1.0. Saniel is the founding originator of the Waking Down in Mutuality® transmission and teachings and recently, with his wife and full teaching partner Linda Groves-Bonder, has launched Human Sun Institute and The White-Hot Yoga of the Heart™. He’s also a (very!) amateur golfer and flutist. He and Linda teach around the U.S. and internationally and are also founding members of Ken Wilber’s Integral Institute.